Actually I think any month is for horror, but as soon as October hits you have a great excuse to binge (I'm watching The Shining as I type this). If you are a horror fan Netflix offers a lot of options. Not all are great, but I found three I enjoyed, some older, some newer, and a few more that are still in the queue for the lead-up to Halloween (and after). Since The Goog is also a big horror fan, and since he also watched these movies with me, he's chiming in his thoughts too. Two reviews, no waiting! What it’s about: Boone is haunted by nightmares about a city of monsters called Midian. He goes to a psychiatrist for help, but rather than help him his doctor leads him to believe he is a serial killer. In his mania Boone takes off to find the city in his dreams, there he finds the Nightbreed, a monster tribe who help Boone figure out who he really is. Why you should check it out: Clive Barker, of Hellraiser fame, both wrote and directed this movie so sit back and get ready to get your 90’s fantasy horror on. 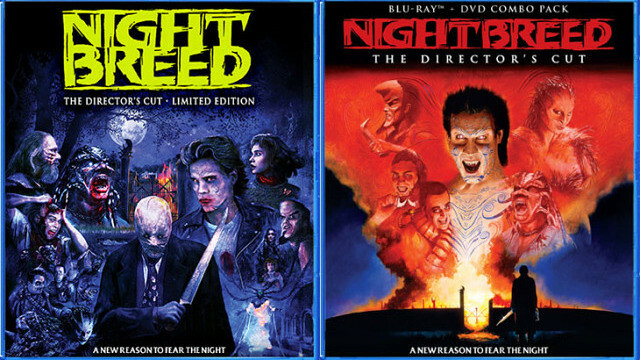 The Nightbreed themselves are fantastical in their scariness. Baker is clearly working to create a larger mythos and as such, the Nightbreed have their own laws and customs and generally do not mingle with “the above” world. They worship and protect their creator and understand that times are beginning to change for them. Also,the film is scored by Danny Elfman, who really tries to capture the tribal element of the Nightbreed, using lots of drums and choral elements. After watching this movie I mused on Facebook about why this hasn’t been turned into a series yet? Lo and behold, something may in fact be in the works. Note, Netflix offers the Directors Cut so if you have seen this movie before it might be a big different than you are used to. Fun Fact: My mom saw me post something about this on Facebook, so she decided to watch it. She LOVED it. Especially the make-up effects. I would not have seen that coming. The Goog: While I'm not a huge Barker fan I have always loved Nightbreed. He gives you just enough mythos to make you want to know more, it's the same with a lot of the characters as well (which is mildly frustrating). Some of the Nightbreed are really cool looking, like Peloquin, some are really funky, like Kinski, and some are like Clive Barker sketches and paintings come to life (meaning the anatomy doesn't quite make sense, but is still neat to see). There are some big changes between the theatrical and director's cuts. Largely it's deleted scenes that give more character development to Boone and Lori (Boone's girlfriend) but the ending in the director's cut is pretty different and much more open ended. I'm very happy to see that we might get a t.v. show! It's about damn time. What it’s about: An island bound Irish fishing village is plagued by bloodsucking creatures who thrive in water. They realize their best protection drinking alcohol and make a last stand during a pub lock-in. Why you should check it out: Grabbers is Tremors meets Shaun of the Dead, with a sprinkle of Lovecraftian horror. I enjoy a good horror comedy and this is a fun one. The Goog for real laughed out loud many times. The Grabbers themselves are some great creature work. CGI, yes, but watching a giant Grabber scraggling its way down the street was pure creepy joy. Because this film is made in Ireland you may want to watch it with the sub-titles on. The accents are STRONG, and having the subtitles going will help you get some of the Gaelic jokes (adds a visual element). Fun fact: This movie has the adorable Russell Tovey (Doctor Who, Being Human, Sherlock) as a proper English scientist. The Goog: Oh man, I loved this. Definitely watch it with subtitles for all the reasons Tiny Doom mentioned. If I had to pick one thing that I didn't completely love, the ending was a bit cliche, which is disappointing only because the rest of the movie played with horror movie cliches so well. Don't get me wrong, I absolutely loved this, but I would have loved it more had the ending been something a little more unexpected. 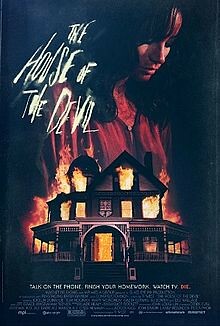 The House of the Devil - What it's about- A college student in need of money accepts a babysitting job on the night of a lunar eclipse. When she gets there she finds the clients don't have any children, but do have ulterior motives. Why you should check it out- This move was made in 2009, but has the look and feel of a late 70's early 80's horror movie. The acting is solid and the typical tropes feel less derivative and more like an homage. It's quiet and creepy, with a slower build-up. Think Rosemary's Baby rather than Halloween. Watch this at night, in the dark, while waiting for a pizza delivery. Fun Fact- This film claims to be based on actual events (muhahahahahah). The Goog: The attention to detail in this is pretty great, they even filmed it on 16mm and used techniques and angles to capture the same feel of movies made at the time. The movie is a slow build, like TD says, the only time I actually questioned the pacing was a long drawn out scene of Samantha wandering the house and snooping about, which didn't really build up any tension and just struck me as odd. Other than that, great acting, and an ending I wasn't expecting. Seen any of these? Any more recommendations?